Whereas people used to spend most of their time in an office for 40 hours per week, now it’s common for business owners and employees to be on the move. One of the challenges of working on the go is staying in touch with the team and clients. Mobile apps can be very helpful in this regard. Here are 10 useful business apps that help you do business on the run. Acumatica is a very helpful accounting and financial planning mobile app. It’s a browser-based, SaaS service that’s available on both iOS and Android devices. In addition to helping you with accounting tasks, it’s also great for inventory management, purchase orders, expense reports and more. If you want a more convenient way to schedule meetings, conference calls or webinars, ClickMeeting is your solution. This mobile app, available for Blackberry as well as iOS and Android, lets you create customized webinars, record meetings, share screens and much more. Expenisfy is one of your best choices for creating simple, comprehensive and user-friendly expense reports. It simplifies tasks such as reimbursement and scanning receipts. Expensify integrates with many other apps and services, including Quickbooks, Netsuite, Xero and Sage. Every business can benefit by collecting email addresses and sending out messages regularly. While there are many email marketing services and autoresponders, MailChimp is one of the most reasonable and feature-rich. Now you can create email campaigns right from your smartphone or tablet. TSheets, made by Quickbooks, is an extremely efficient mobile app for tracking time on any device. You have the ability to track individuals or entire teams. It makes it easy to create and edit shifts and schedules, track sick days and holidays, and identify exactly where and when people are working at any given time. Surveys are a powerful tool for engaging with your customers and finding out their needs and preferences. SurveyMonkey lets you learn more about your audience, collect valuable data and create polls and surveys for any purpose. Deputy is an app that’s useful for scheduling, tasking, workforce management and staffing. If you’re looking for an easier way to schedule shifts, track time and attendance and improving communication in your workplace, Deputy is the perfect solution. RingCentral is an all-in-one phone, conferencing and messaging service that’s compatible with over 100 other apps. You can use it to send and receive texts and faxes, set up conference calls, send messages to your team and much more. A robust CRM helps you run your business more effectively. Salesforce is one of the best, with a wide variety of customer service, marketing, communications and commerce tools. Salesforce has several memberships for its cloud-based services starting at $25/month. Sprout Social is one of the most powerful business apps for implementing an effective social media strategy. It has tools to schedule your social media posts, identify influencers, perform thorough analytics on your campaigns and increase engagement. 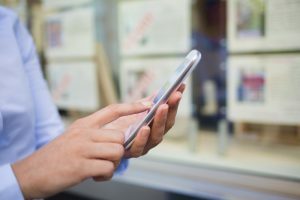 These are some of the best mobile apps to make your business more efficient no matter where you and your employees are located. Another way to expand your business is to improve your cash flow. With invoice factoring from Riviera Finance, you can immediately receive cash from your invoices and quickly increase your cash flow.